Andy Matsuda, who brought Osaka’s sushi tradition to Los Angeles, has been invited to join Holland America Line’s esteemed Culinary Council, serving alongside Master Chef Rudi Sodamin as well as international chefs Jonnie Boer, David Burke, Elizabeth Falkner, Ethan Stowell and Jacques Torres. As the founder of the Sushi Chef Institute, Matsuda has trained more than 1,500 graduates who have gone onto careers as professional sushi chefs or restaurateurs. 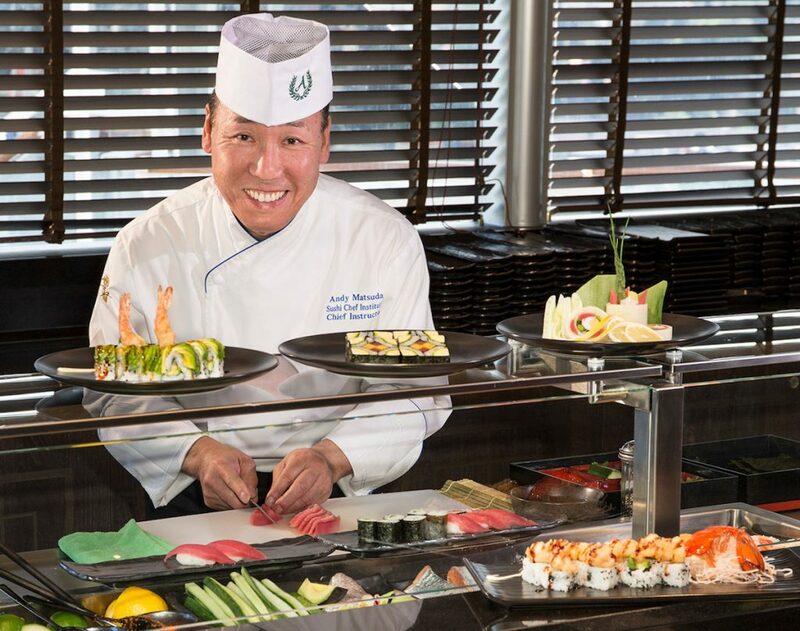 Since 2016, he’s been bringing his experience with the craft – and art – of sushi-making to Holland America Line, training shipboard chefs and ensuring that the staff is at the forefront of sushi trends and techniques. Matsuda’s signature rolls are available at Tamarind, the Asian-fusion restaurant aboard several Holland America Line ships, as well as at the sushi counter on Koningsdam. More of Matsuda’s unique creations will be exclusively available on Nieuw Amsterdam, at the separate sushi bar Nami Sushi. The name “nami” means “wave” in Japanese, a small tribute to the ocean views visible from the venue. Matsuda’s creations for Holland America Line include a tempura lobster roll with soft shell crab tempura; a dragon roll with tempura shrimp, unagi sauce, and avocado; a tsutsumi roll with snapper, green olive, caper, and avocado; a futomoki roll with crab, yamagobo, avocado, and cucumber; a volcano roll with sesame-marinated salmon and Thai chilis; and nigiri sushi with tuna, salmon, and ebi shrimp. 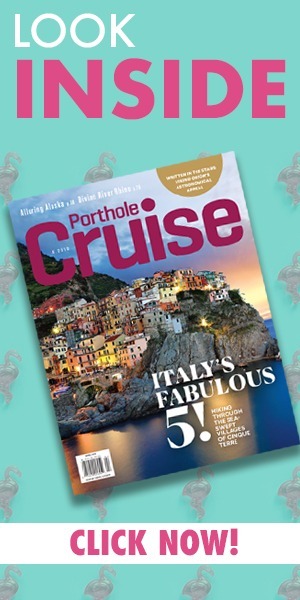 In Brief: Ultra-modern riverboats, Disney destinations, and more….